Coming from one of the oldest certified organic farms in the country, our oils are produced from soil to oil without any chemicals for the most natural experience. For people who are serious about their oils. Normally, high temperature mechanical pressing and chemical solvents such as Hexane, a known neurotoxin, are used to help extract many culinary oils from the seed. This yields more oil and therefore more profit but in fact, destroys much of the health value within the oil. Also, traces of the Hexane solvents (and the use of other chemicals of questionable safety) remain in the oil, even after considerable refining. Roundup (glyphosate) shows adverse effects in all standard categories of toxicological testing. Roundup and emergence sprays are commonly used in conventional farming in Ireland today. However, there is growing evidence that the use of this herbicide can result in reproductive damage as well as damage to the kidney and liver, and studies show a link between the chemical and cancer. Fungicides are also commonly used when growing rapeseed conventionally. Fungicides are chemical compounds or biological organisms used to kill or inhibit fungi or fugal spores which can result in critical losses of yield and therefore profit. Fungicide residues have been found on food for human consumption and have been shown to cause adverse health effects. Insecticides are often sprayed on conventionally grown rapeseed in order to avoid yield loss by the pollen beetle. Seeing a field of rapeseed in full bloom can take your breath away but the riot of yellow flowers is also a beacon to a host of insects and bees that flock in droves to the bounteous blossoms. Though some of these critters, like the honeybee, are harmless and actually help pollinate the crop other insects can be very harmful to the plant so on most conventional farms insecticides are sprayed to kill the insects. These insecticides find their way into the food chain and have been proven to have adverse health effects such as reproductive problems, liver, kidney and spleen problems, cardiovascular problems and increased cancer risks. Rather than being subjected to hexane extraction, our organic oils are expeller pressed. We gently squeeze the oil out of the seed by using a cold press, which in itself is a benefit nutritionally. We do not use heat treatments, chemical solvents or any other industrial style processing to get more oil from the seed. Also, we only press the seed once to give the best oil — hence the term ‘Extra Virgin’. Even though some valuable oil remains in the leftover crushed seed extract (called expeller cake). It’s a sacrifice, but we would much rather offer the best oil just as nature intended. Besides, we then feed our livestock the oil rich expeller cake as part of their winter feed so they also benefit and are happier and healthier because of the extra nutrition. To complete the cycle of nature any nutrients not used by the livestock simply passes through and becomes farmyard manure that is later returned to the fields to fertilise the grass and the crops the natural way. This respects both nature and the organic philosophy, promotes sustainable farming and adds some feel good factor for conscious consumers. 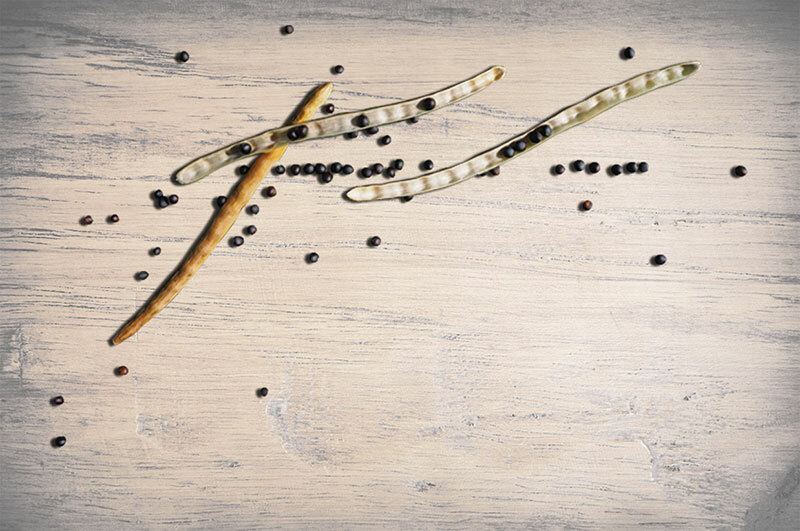 Second Nature’s rapeseed oil does not sit around in sedimentation tanks or go through complicated filtration systems. When we have finished pressing we then bottle immediately to prevent oxidation occurring through exposure to air (oxygen) and moisture. Because the enemies of fresh, healthy oil are heat, light and oxidation, Mother Nature cleverly preserves her precious rapeseed oil perfectly in a seed with a tough, dark outer shell that is designed to keep out light, oxygen and even insulate against excessive heat that could damage it. 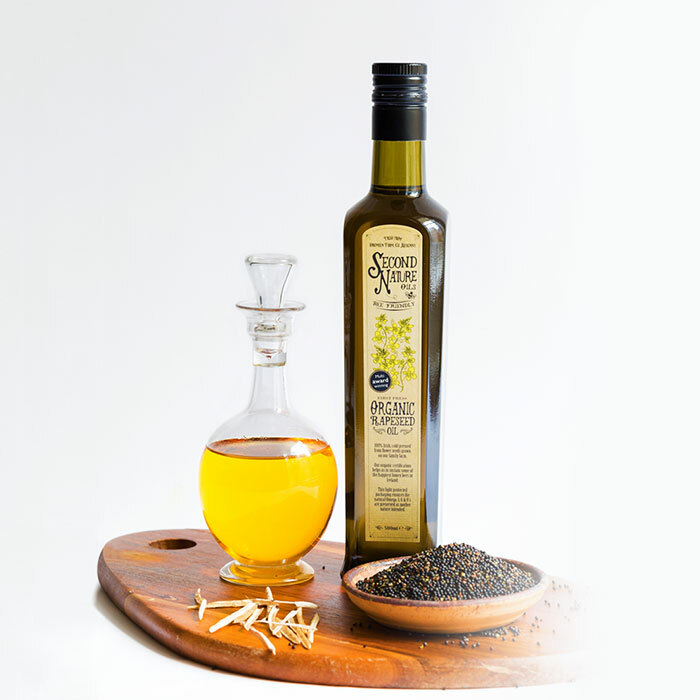 During pressing and packaging at Second Nature, we do everything to ensure that the maximum freshness, flavour and nutritional benefits of our rapeseed oil make it to your kitchen by mimicking the conditions of the oil’s natural environment through the entire process. During pressing we only ever use dark food grade piping and stainless steal tanks. Unlike all other Irish rapeseed oils, we only ever use dark bottles or tins to prevent any light damaging the oil and the subtle undertone flavours and nuances — just like if it were still packaged in the seed cleverly by mother nature.